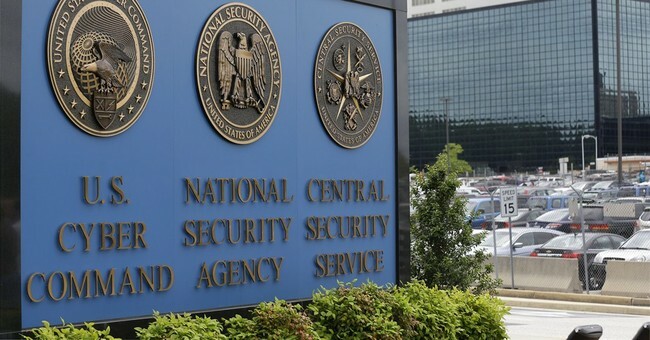 Last week, the Obama Administration dodged a bullet when its last-minute lobbying defeated an amendment that would have ended the NSA’s massive surveillance program of American citizens. The amendment, proposed by Rep. Justin Amash (R-Mich.) to a defense-spending bill, would have stopped the collection of intelligence data pursuant to Section 215 of the USA PATRIOT Act unless the targets of the investigation actually were under investigation. Under this Administration's interpretation of the law, it vacuums up data on virtually every electronic communication of every person in the country, by using Section 215 far more broadly than the law provides, or was intended to allow. The amendment barely failed -- falling short by just a mere 12 votes in a vote that exhibited rare bipartisan coalitions both supporting, and opposing, the amendment. Apparently, a push by House Minority Leader Nancy Pelosi (D-Cali.) in the final hours before the vote was the saving grace for the NSA surveillance program. The surprisingly narrow vote, however, is a good sign that privacy advocates on the Hill -- reflecting broader concerns of the American people -- are finally giving this massive surveillance program the scrutiny it deserves. What Amash understands, and what establishment cronies like Pelosi fail to understand, is that there is a changing tide of public opinion regarding America’s national security programs. The American public no longer is content to give Uncle Sam a blank check to do whatever he pleases, so long as it is done to “protect us from the bad guys.” Revelations by NSA whistleblower Edward Snowden showed, for the first time in broad daylight, just how far the government has gone since 9-11 to collect all manner of private data on law-abiding civilians not under any criminal or national security investigation. The still-unfolding IRS scandal feeds into this concern. Americans now appear ready to dial it back, in a big way. Public opinion of Obama and Congress are at all-time lows, due in no small measure to the miserable job both the Executive and Legislative branches have done to protect the constitutional rights of citizens. In fact, a Gallup poll from June shows the majority of Americans oppose the federal government’s dragnet snooping programs that collect private information about citizens not under investigation. Even the New York Times, typically a shill for the Obama Administration, notes what it calls “rapidly shifting politics” that started on the fringes of both parties but has spread into mainstream politics. There is, of course, pushback to stemming the government’s domestic surveillance operations. However, this stonewalling is coming not from citizens, but from establishment politicians who believe the public doesn’t know what’s best for itself. For example, New Jersey Governor Chris Christie, Obama’s pal and a likely 2016 presidential hopeful, last week called the “strain of libertarianism” going through both parties “dangerous” to America’s national security and blamed Senator Rand Paul as its primary cheerleader. Christie is right that Paul is one of the Constitution’s biggest and most vocal supporters in Congress, and we’re lucky to have him. But Christie is wrong in suggesting that a “strain of libertarianism” is infecting both parties. The support of civil liberties and the expectation that the government follow the Rule of Law hardly is a new concept to Republicans or Democrats. Even though it is clear that both major parties periodically have forgotten their duty to uphold the Constitution, Republicans, at least, have traditionally been the watchdogs of Big Government. What Christie sees as a new trend is simply the resurgence of constitutionalism within the GOP, and among many independents; it is a return to conservative roots where government is not to be trusted blindly when it comes to the privacy rights of American citizens. This shift against government snooping augurs poorly for political elitists like Christie, Pelosi, and Obama -- public officials who feel they serve the interests of the State over the interests of the People. The American public is tired of limitless government data collection and the systematic abuse of civil liberties in the name of “national security.” Let us hope this trend is not just a fad or temporary strain of privacy activism but a wholesale change in how the public views government. While Amash’s NSA amendment is defeated for now, Republicans should capitalize on the growing public support for intelligence reform and rebrand themselves as the party committed to the Constitution. Republicans have a unique opportunity to reclaim the high ground, but only if they tune-out the “sky is falling” squawking of the Old Guard and begin to make earnest reforms; not only regarding the NSA and IRS, but every federal bureaucracy.